We are PixWagen. 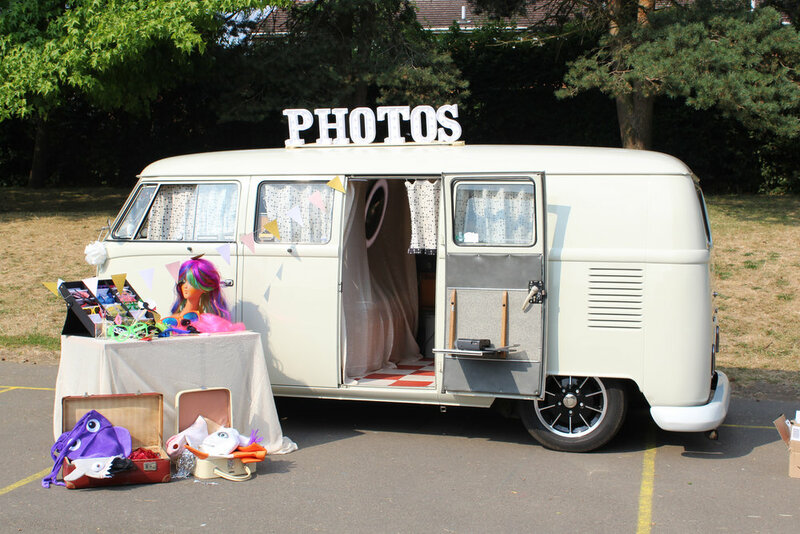 Hire our Camper Photobooth for your wedding, party or special event in Kent and London. Pixwagen Camper Photobooth is a booth with a difference... it's inside a super cool Volkswagen Split Screen Campervan! 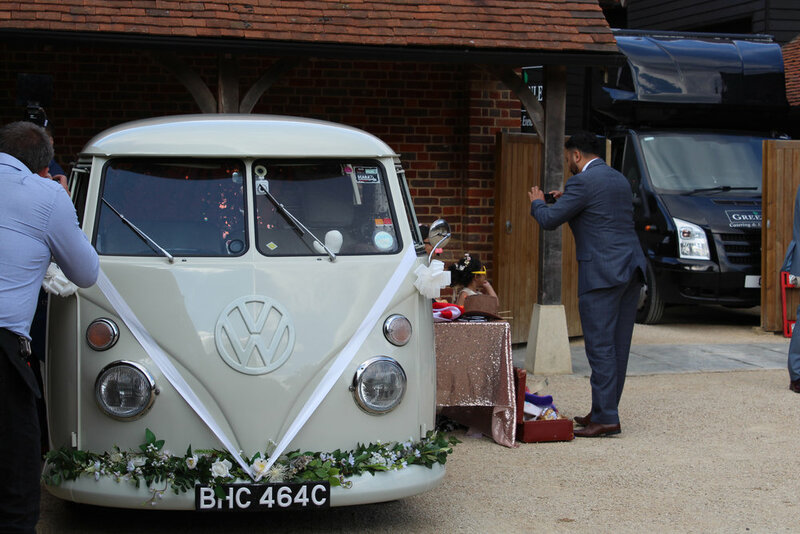 Whether you're planning a wedding reception, birthday party, anniversary or some other kind of event in Kent or London, our vintage camper photo booth will provide tons of hilarious entertainment for your guests, and you'll end up with a lasting keepsake of all their memorable photos. Photo booths are a must have to get the party going at a wedding, birthday or special event. 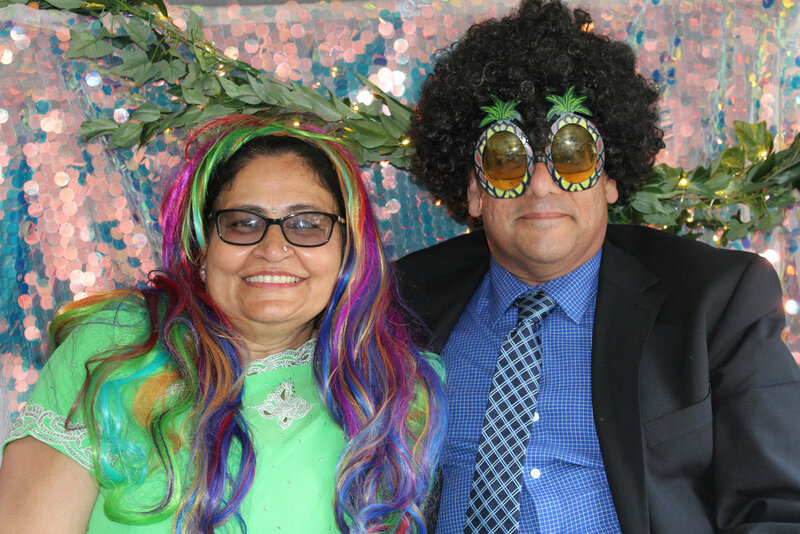 Your guests will love dressing up in our crazy masks and props, and getting instant prints or animated GIFs of their shenanigans. There’s sure to be a lot of fun and laughter. With a range of sparkly backdrops, you can customise the booth to suit your requirements. 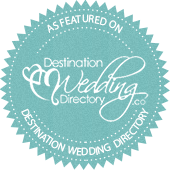 We can even decorate it with coloured ribbon and flower garlands, just let us know when booking. 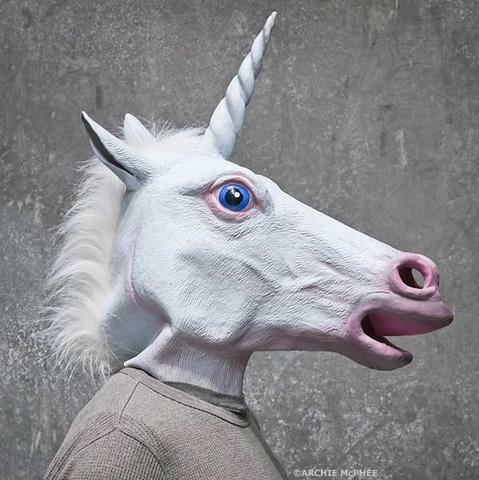 When you hire either our camper or open air photo booths, included is a prop box full of a large range of wacky dress up items. Choose from creepy rubber masks, novelty glasses, outlandish wigs and props on sticks, strike a pose and capture some funny memorable moments. Our touch screen photo booth is an interactive social media pod, otherwise known as a GIF booth. It offers either instant prints or animated GIFs. You can opt for them to be sent directly to your phone, social media, or provided later on a USB stick, as well as uploaded to your own personal online photo gallery of the event. 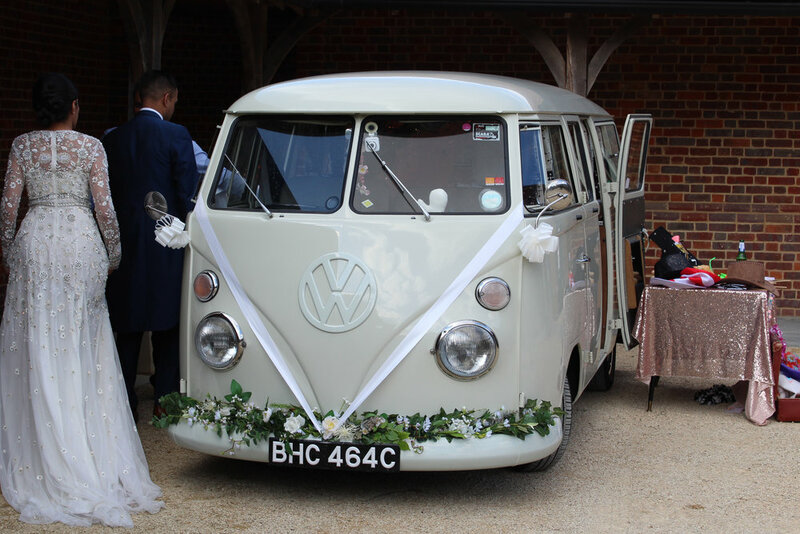 If you're getting married, why not save some money and combine the hire of our photo booth along with the use of our stunning fully restored white vintage VW campervan as your wedding or civil ceremony transport. It comes with free pick n mix, and a choice of ribbon and flower garland decorations. So it’s a bit too early for everyone to get up on the dance floor, but the meal has been demolished, the speeches have ended… how are you going to entertain your party or wedding reception guests? With a Camper Photo Booth! There are a multitude of photo booths available to hire in Kent and London, but most are of the “conventional” type - a box with a curtain. Why not hire something a little bit cooler? 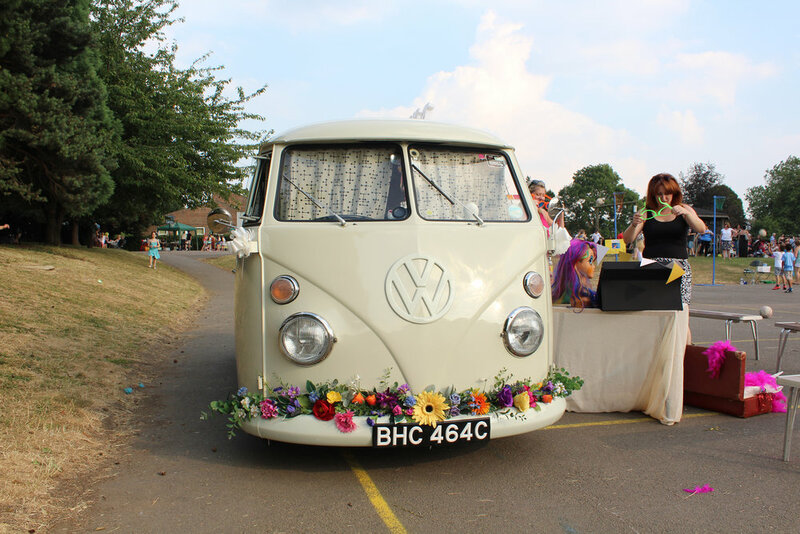 Our vintage 1965 split screen camper looks the part with it’s light up PHOTOS sign, glittery backdrops and optional flower garland decorations. It also comes with well stocked vintage suitcases, stuffed full of mad hats and sunglasses. If you are interested in hiring our camper photo booth for your wedding, event or party in Kent or London, fill out the form below. Please include the date and location of the event.